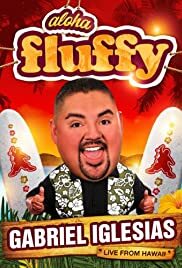 Filmed at the Stand Up Live club in Phoenix, this series features Gabriel Iglesias and a bunch of his funny comedian friends performing routines. Comedian Gabriel "Fluffy" Iglasias and his entourage of comedians travel around the country, asking fans where to eat, and, in order to "Break Even", where to work out. I swear this man could just stand on stage doing absolutely nothing, and STILL be able to make you laugh! Truly amazingly gifted comedian! Would LOVE to see him live someday. Thank you Fluffy for ALL the laughs!